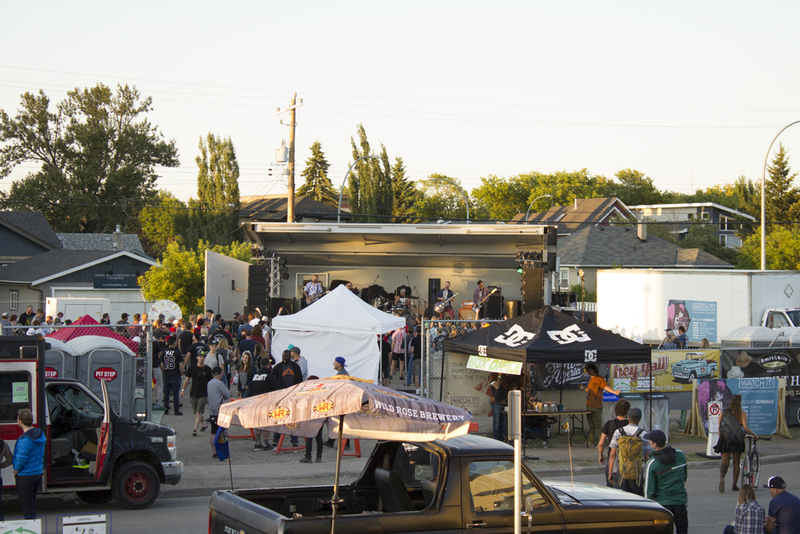 We had the utmost pleasure in partnering with everyone involved, including the Alberta River Surfing Association, to deliver a rock and roll show in the Brewery Flats of Inglewood. 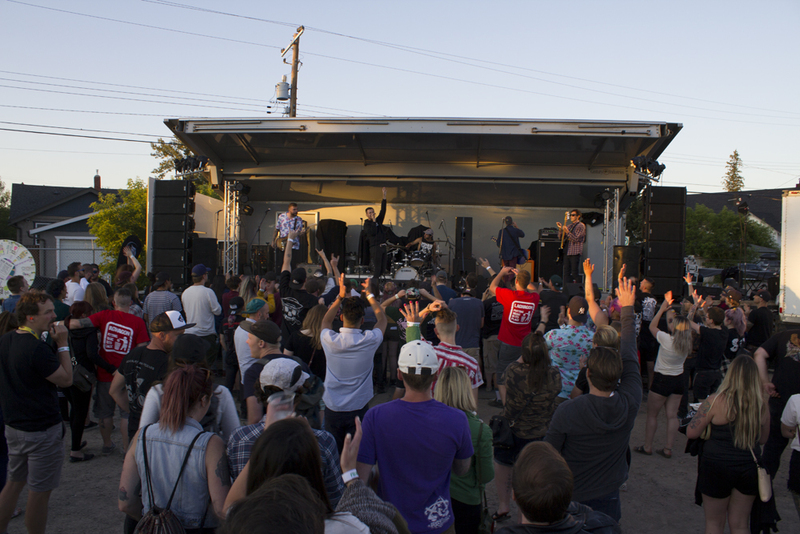 Vendors lined the street from Market Collective, while Big Slam attendees were able to grab a beer and mosh. The venue, usually a parking lot, had a stage set up only the night before. Vendors and partners set up their pop-up tents before the event, and we were sure to run a power line from the generator to the beer fridge. We set up the night before, during a windstorm. Luckily, the wind died down just enough during the show to keep hazards to a minimum. 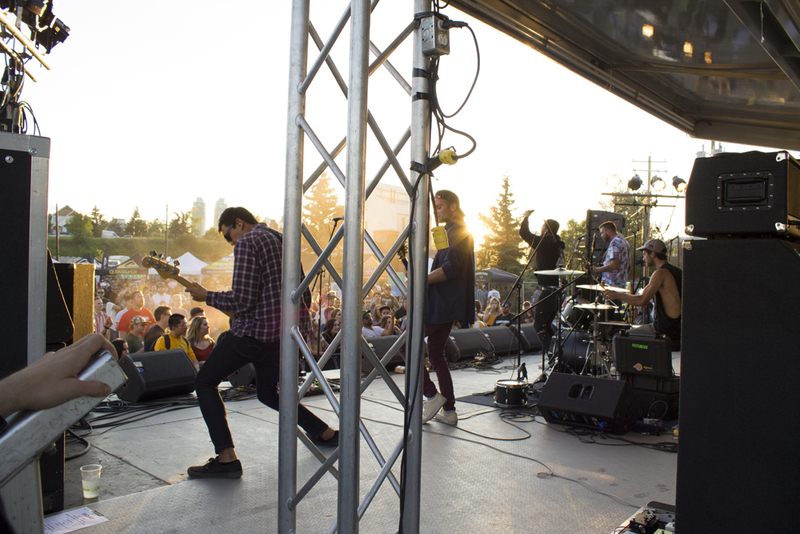 All of the opening bands kept the momentum building throughout the day. Seaway opened for Lagwagon, keeping everyone moving and moshing through their high energy performance. 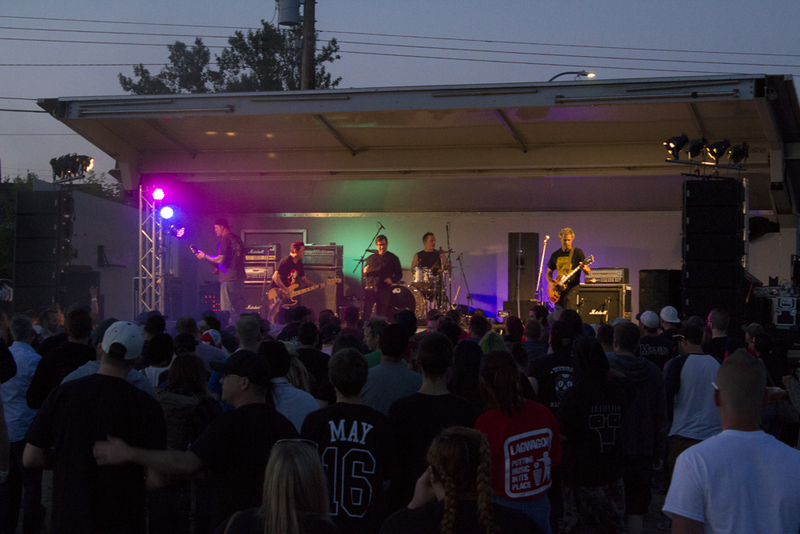 Punk rock veterans, Lagwagon, headlined the event, rocking the stage with those anthemic classics until long after the sun set. 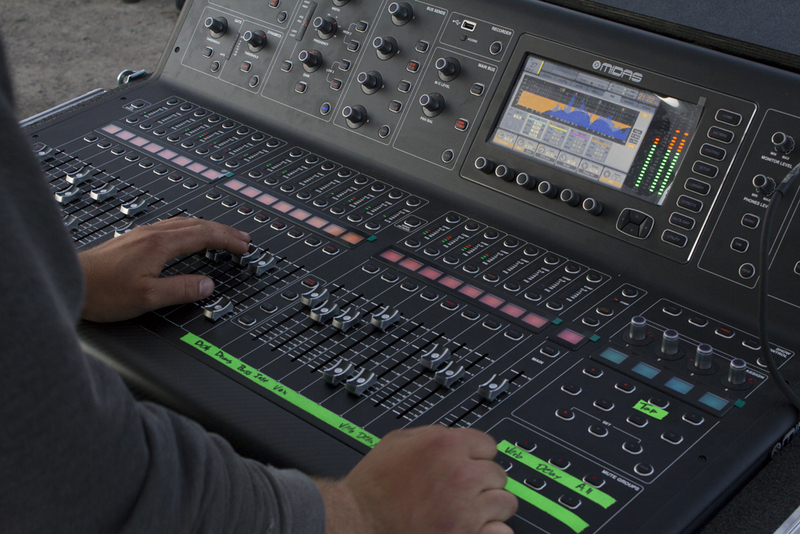 AUDIO Eric Jessee, of Calgary Show Services, mixed the Front-of-House (FOH) from under a tent, doing his best to keep dust out of the console during those particularly windy days. George, of Pulse Concert Works, brought the line array and subwoofers, and mixed the monitors for the artists from side stage. 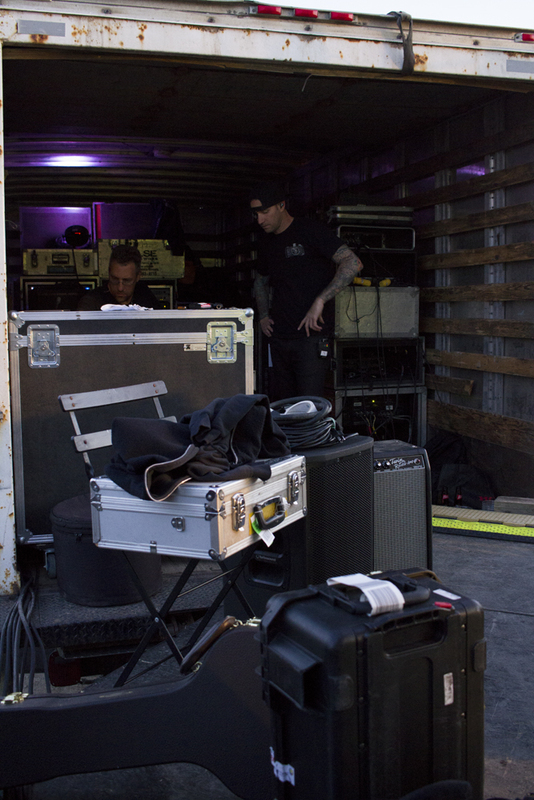 He mixed monitor world out of his truck, instead of under the tent, as the wind posed too much of a hazard. The line array and series of subwoofers on either side of the stage held up and blasted tunes throughout the neighbourhood, while the energy was high on stage and in the crowd. This was such an awesome event to help out with, and required a lot of partnerships, but it was excellent seeing everything pulled together in a whirlwind.